An obvious benefit of changing one’s own oil is saving money, but oil change services frequently advertise bargains. If the “check engine oil” light comes on while driving, this is a strong indication that the car is running low on oil. A driver does not need a mechanic to add oil. However, if the oil light stays on or lights up shortly after adding oil, there may be a leak, and a mechanic should look at the car. 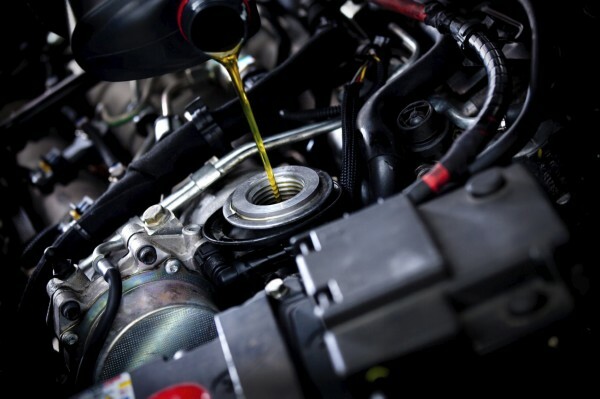 An oil change service can range from your basic conventional oil to higher priced synthetics. Conventional oil is the most common and also most affordable, often used in light-weight cars. A Synthetic Blend will be a step up as it mixes organic and synthetic oil. This is a better option for heavy-load trucks or SUV’s. The higher-priced, yet all around best performing, oil is Synthetic. It’s normally geared towards high-tech engines, but works well with high mileage vehicles also. For your next oil change in Rancho Santa Margarita, stop by OC Automedics Auto Repair Center in Rancho Santa Margarita. Your engine’s oil will undergo thermal breakdown over time, making it more difficult to protect its inner parts. Your engine’s parts can become worn out from heat and friction. Engine oil helps to lubricate these parts, keeping them cool and not allowing them to overheat. The oil also cleans your engine by absorbing water, dust and other contaminants. These particles can build up in the oil to where it can become oversaturated with water or contaminants. Why is my oil leaking? Oil leaks are messy and a hassle to deal with, no one wants that stained driveway or garage, or that falling oil pressure that can ruin an engine in nothing flat. 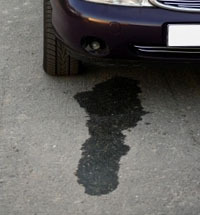 Many things can cause oil leaks and an oil leak is not good for your vehicle, when your oil is leaking your car is losing its engines lubricant which can ruin parts in your engine and that can become costly, don’t wait till your engine is ruined to come to OC Automedics, bring in your car and let our mechanics repair your oil leak.</p> <p>Things like broken seals, brittle gaskets, warped valve covers, loose spark plugs, and cracked cylinder heads are just some of the things that can cause oil leaks. Keep in mind that your vehicle has several different fluids that can leak and not all of them are oil, transmission fluid is another common fluid that leaks and is red in color, oil is not. No one wants a broken down car engine because of something that is so easily diagnosed and repaired. If you have an oil leak in Phoenix than you need to have repaired call OC Automedics Auto Repair and bring your car in for immediate service, we can have you fixed up in no time. If you’re hearing loud noises coming from your engine, your oil pressure is decreasing, or you have a higher engine temperature that is putting your car on the verge of overheating or causing your oil light to come on than that means that you could possibly have an oil leak or be having issues with your oil pump. A malfunctioning or broken oil pump can cause you serious problems with your vehicle. When your oil pump is no longer working it can keep lubrication that is important to your vehicle from getting to areas where it is needed. Don’t wait until your car breaks down to seek help from OC Automedics Auto Repair! Your oil pump circulates your oil through your engine creating oil pressure that pushes the oil through to the bearings, the pistons and the camshaft. The lubricating of these items will keep you from breaking down and keep your vehicle in perfect working order. When there is no lubrication of oil because of a broken or malfunctioning oil pump through your engine it can cause your engine to eventually break down and stop working. Here at OC Automedics Auto Repair we can find and fix your vehicles problem! Don’t wait to get repair or replacement service for your oil pump in Phoenix, come by today!